Fitness Desktop Treadmill: Burn Calories While Working! 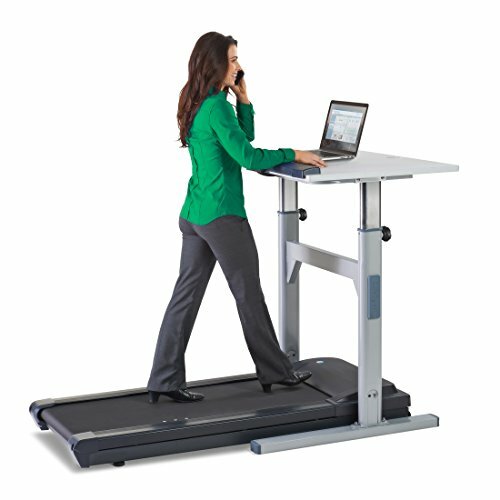 *Burn Calories while Working on the Computer! Are you working or exercising? It is now, with this amazing fitness desktop treadmill! As you can see the desk area is actually huge! Will fit your laptop and working papers perfectly! (Even better if you have a difficult project! Working on your sneakers and walking for miles and miles while doing business on the phone, reading your e-mails and taking notes! 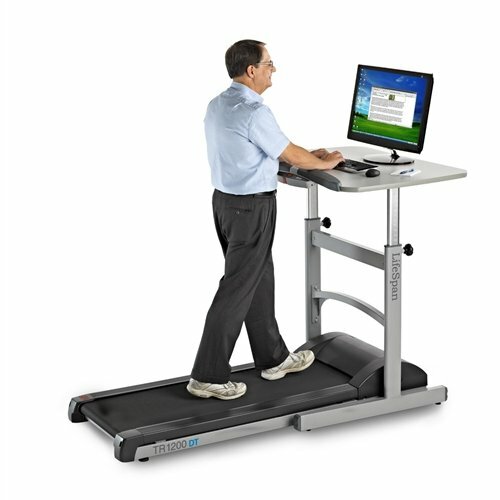 Guys I am in AWE with these desktop treadmills! I so wish I had room in my apartment to get one for myself! I am usually on my laptop for 6 hours plus a day! Imagine if I could stay one or two hours walking on the treadmill AND working too? *The height adjusts electrically and it fits people as short as 4’10” and as tall as 6’10”. *It supports users up to 300 lbs. *Affordable Desktop Treadmill for Women! 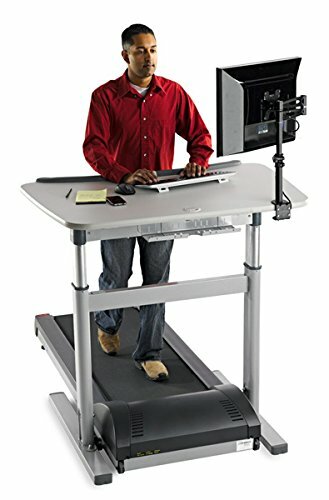 I love this desk treadmill! It’s called ‘WorkFit‘! 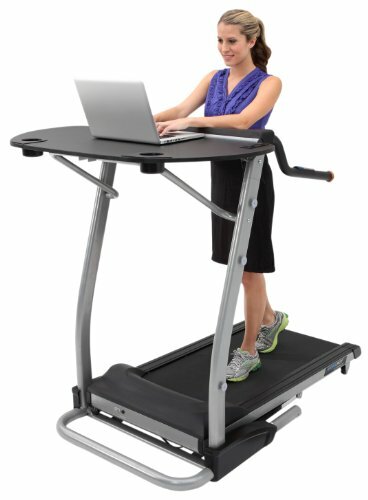 I definitely cannot think of a better way to get fit while working! It is pretty easy to set-up and a great investment on your health! Another great perk is that it actually helps you improve your productivity, as it will keep your energy levels up! Another amazing adjustable desktop fitness treadmill for sale! It fits people from 4 ft. 10 in. to 6 ft. 8 in and about 350 lbs. The walking surface is nice and large and it’s also super easy to assemble! 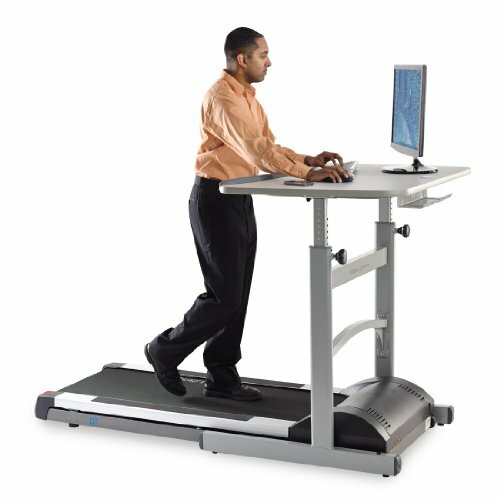 Users love the idea of being physically active while working on their computer! The desk is also solid, durable and easy to work on. They say it’s best to walk slower at first, until you find the ‘perfect working/walking pace’ for you. The Best Way to Keep Fit at Work! Well, I don’t know about you, but I am totally sold on these! Definitely a very creative healthy solution to being stuck in your home office working! This machine will also let you know how many calories you are burning and how much you are walking! Can you believe how accomplished you will feel after your ‘working day’? You will not need to spend more time and money going to a gym before or after work!